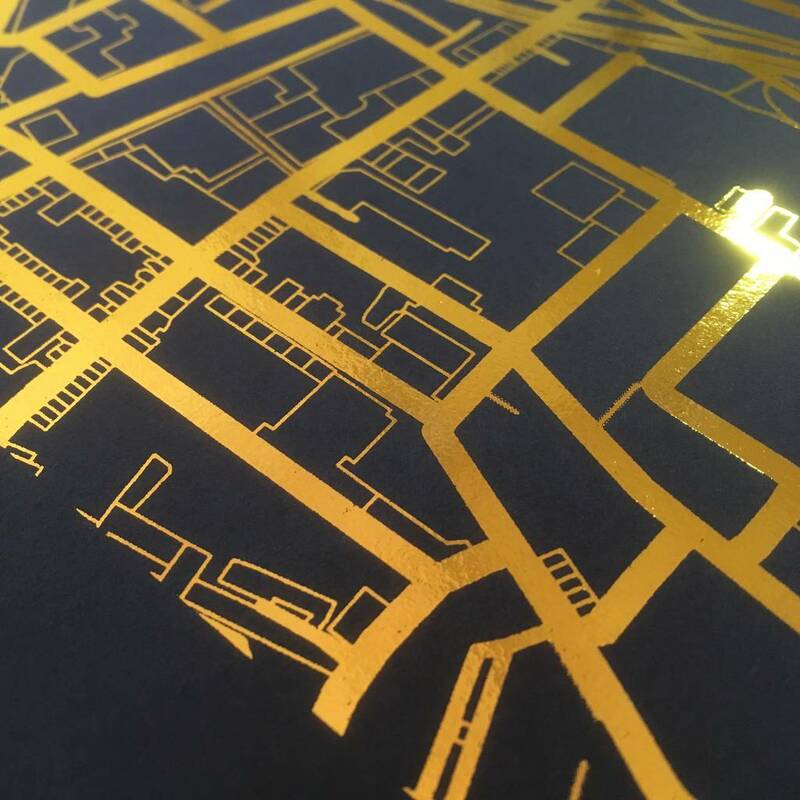 A personalised metallic foil map print which is fully customisable for any town, city or location (worldwide). With optional heart marking the centre. 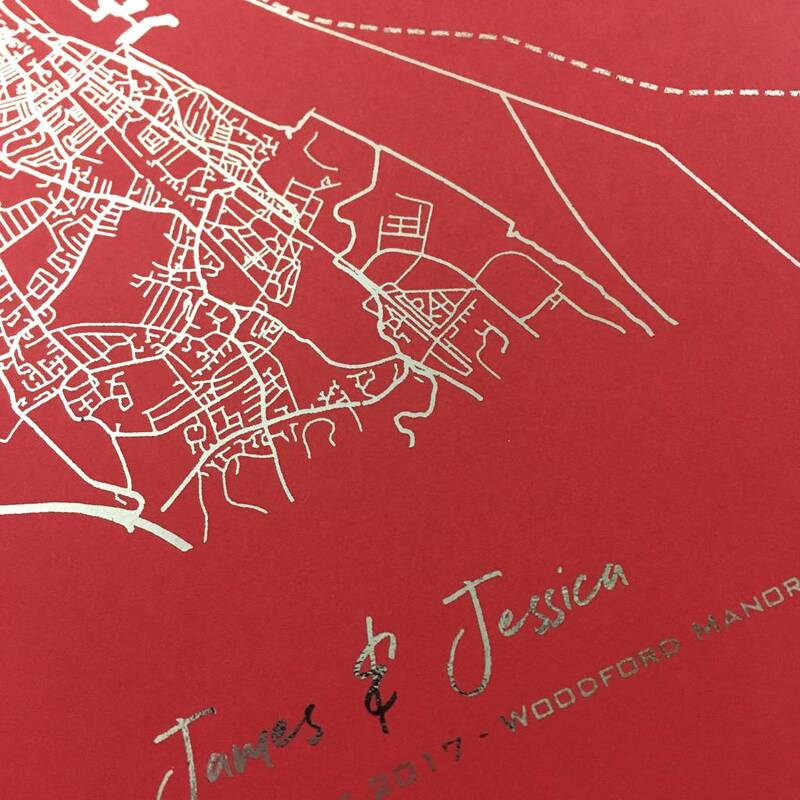 Order details : Select whether you require a frame and whether you require a heart marking the centre or not. Next choose a colour from the 3 available. 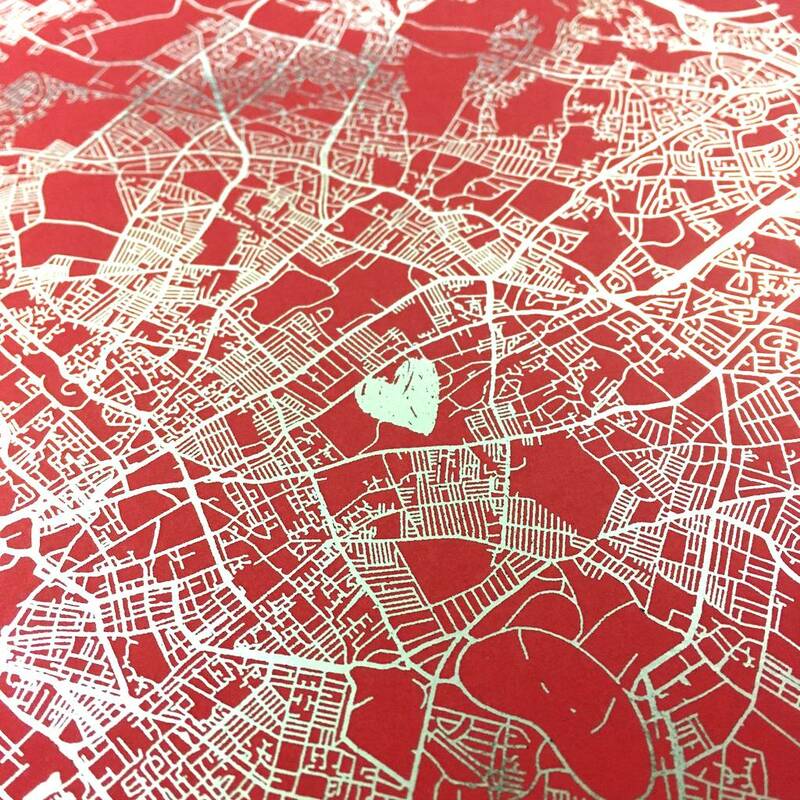 Provide us with details by postcode, town/city or coordinates for the area you would like to be shown. Then add a title caption and then optional smaller message if needed. 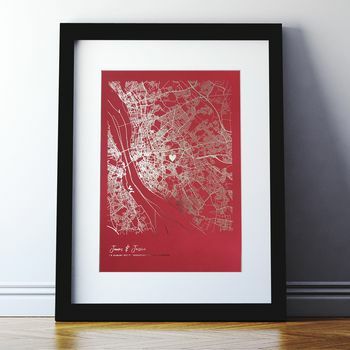 The postcode, town/city, coordinates given will form the centre of the map print. 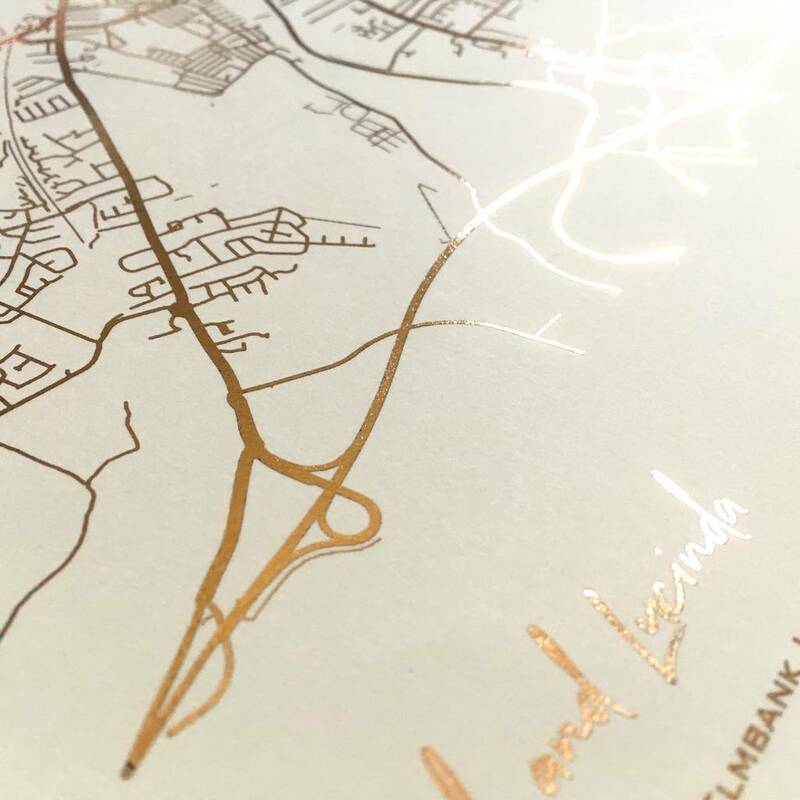 This metallic personalised map location print has been thoughtfully designed and created with you in mind, by our hardworking loving team. Created using © OpenStreetMap contributors. 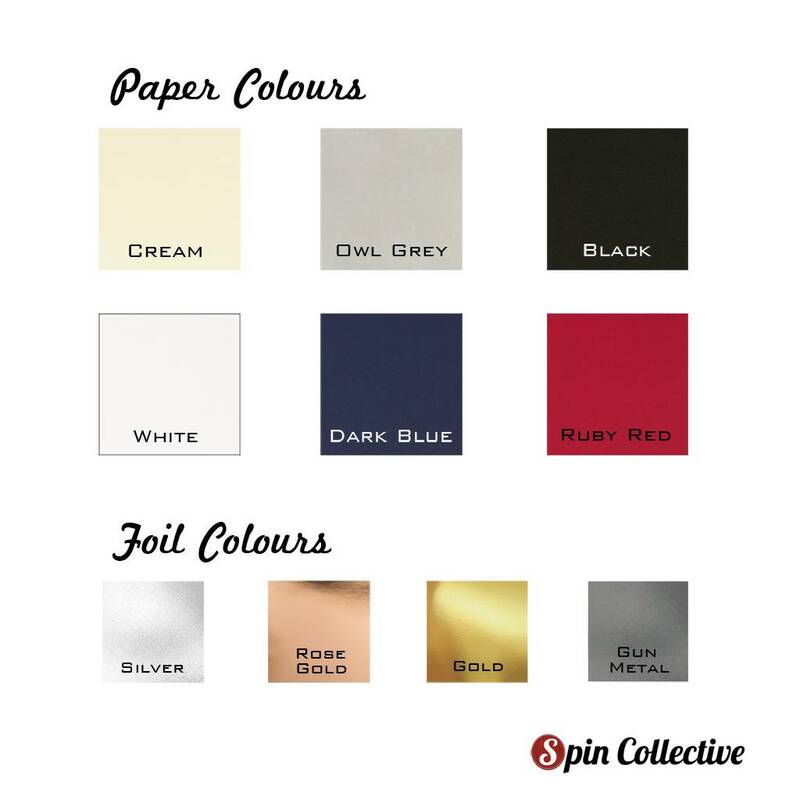 Available in 4 different metallic foils and 6 different coloured papers (see image). N.B Does not include frame unless selected from the dropdown list. Locations in the countryside with limited roads will have minimal detail when compared with the example (e.g a city centre). Available in A4 (29.7cm x 21 cm) with an option for a frame in each size. 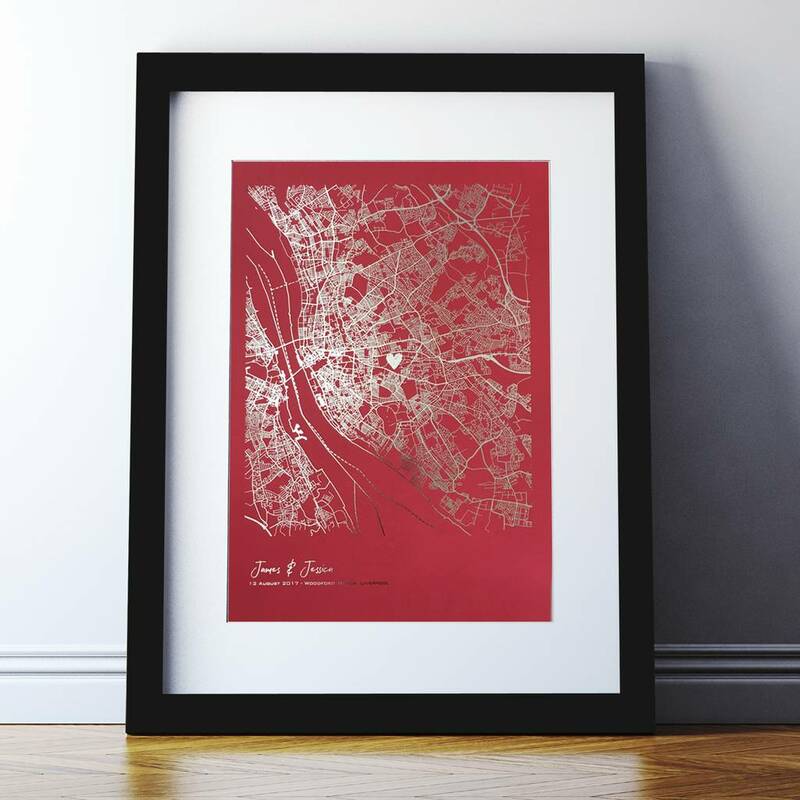 For the framed option, the print will be mounted and framed in a solid wood 27mm squared contemporary black or white frame (made in the UK by qualified frame makers). The frames external measurements are A4 (45cm x 35cm).